This Monster is a patient creature that is rarely caught off-guard. Its incredible defense and resistance makes it all too equipped for its personal method of self-defense. 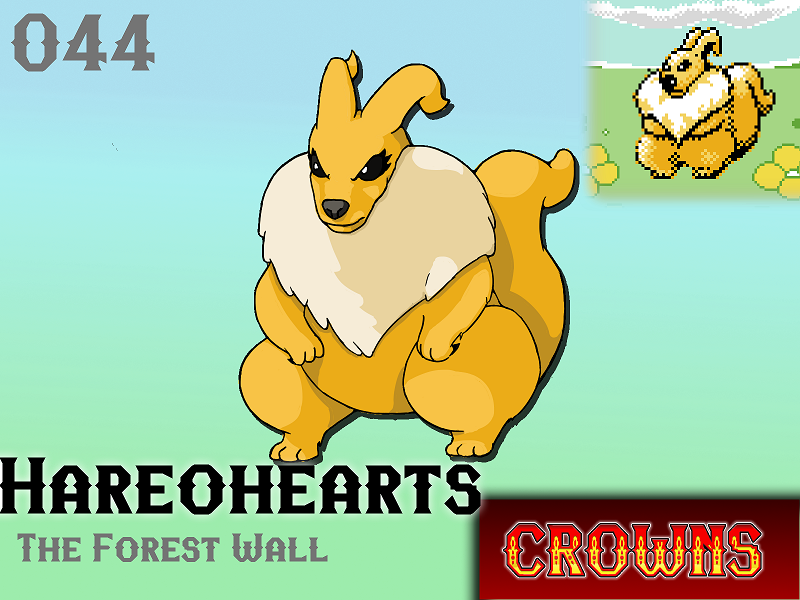 While Hareohearts is a herbivore, their large, seemingly-defenseless bodies make them an appealing meal to many large carnivores.However, their endurance is unheard of. When targeted, Hareohearts will absorb both physical and magical blows, letting the predator wear itself out. Once the predator has grown weak, Hareohearts will approach it and either choke the enemy out or break its neck. Despite this, several Tamers have observed young children manage to befriend a stray Hareohearts by offering them fruit. This is quickly put to an end when fearful parents soon hire a tamer to scare off the beast. Will Hareohearts make your team?